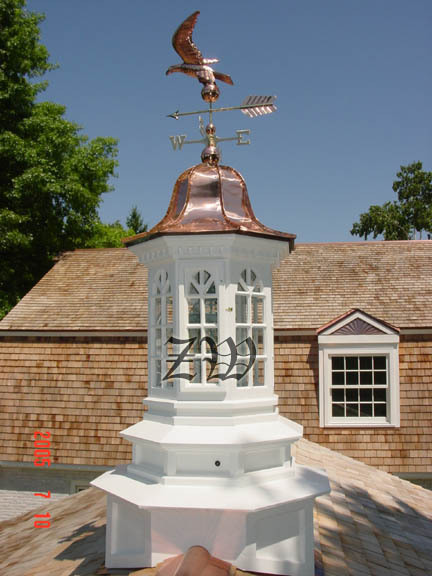 "The Z Banner"Cupola is one of the first Artistic Cupolas created at Zack's Workshoppe. 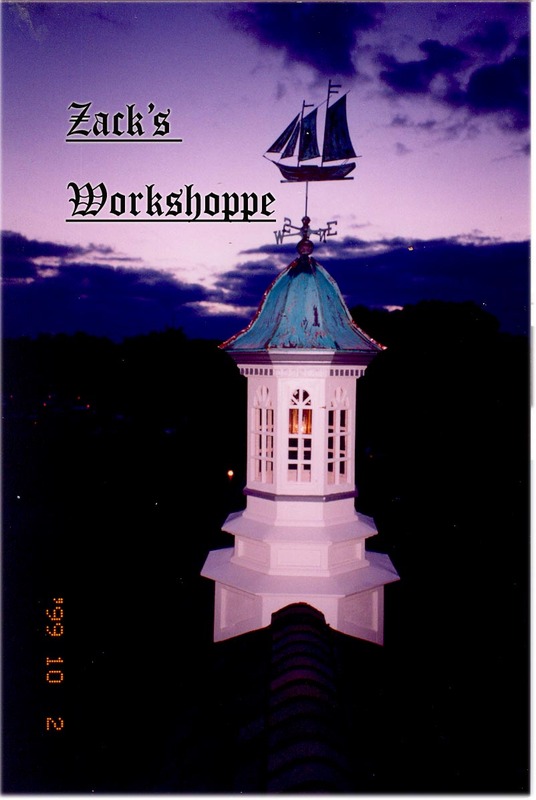 This Cupola is an Octagonal Cupola from the recess roof bases to the Copper Bell Domes or Copper Pagoda roofs. Frequently when we design this Cupola it will have recess panels with trim pieces, crown moldings,dentil blocks, muttons and mullions,along with unigue rails and stiles -all made one piece at a time.....from trees grown in Michigan. 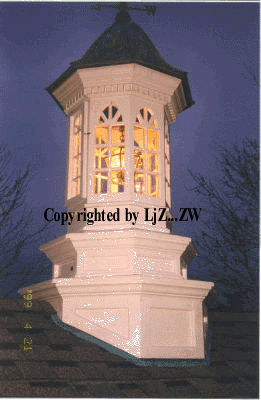 The name of this Cupola is name after the owners father who passed away a number of years ago. 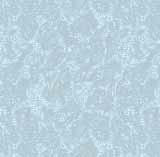 It is a reflection of the fine work ethnic's he had instilled in his family. He was known to many as "Mr. Z". 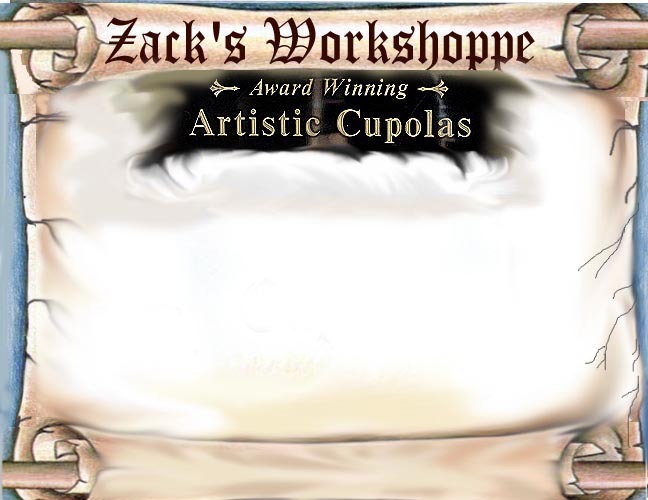 In memory/honor to him we have created "The Z Banner Cupola". We hope you will enjoy it-this Cupola sits on top of so many homes and beautiful buildings through out the country, and we are truly delighted to share it with you.